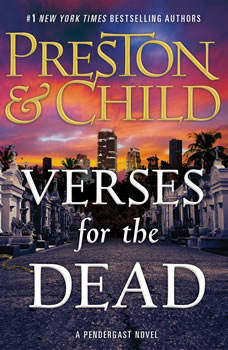 Preston & Child return with their #1 bestselling series, confronting FBI Special Agent Pendergast with the one challenge he never expected: a partner.After an overhaul of leadership at the FBI's New York field office, A. X. L. Pendergast is abruptly forced to accept an unthinkable condition of continued employment: the famously rogue agent must now work with a partner.Pendergast and his new colleague, junior agent Coldmoon, are assigned to investigate a rash of killings in Miami Beach, where a bloodthirsty psychopath is cutting out the hearts of his victims and leaving them with cryptic handwritten letters at local gravestones. The graves are unconnected save in one bizarre way: all belong to women who committed suicide.But the seeming lack of connection between the old suicides and the new murders is soon the least of Pendergast's worries. Because as he digs deeper, he realizes the brutal new crimes may be just the tip of the iceberg: a conspiracy of death that reaches back decades.